I've been on two trips to London in the past few weeks, I popped into Forever 21 as I wanted to get some long leggings for running, I found a pair and I absolutely love them, they are so comfy, I even wore them home on the plane! I also picked up a sports bra/top which is really pretty and surprisingly keeps everything in place while I run/workout! I also had a little browse in Space NK, I was in a strange mood and picked up the By Terry Ombre Blackstar in Misty Rock, I didn't look at the price and just bought it without even considering it. It was £28, which I think is just a tad excessive for what is essentially a creme eyeshadow and I now kind of regret it as I want to buy all the shades..I had spotted this beautiful mint green dress in Topshop the first time I was in London, it was £68 which I thought was a bit too expensive and I put it back. When I spotted a Topshop in the Canada Square Shopping Centre, I said to myself "if the dress is there, I have to get it." I guess it was fate as I walked in and there it was and before I knew it I had handed my card over and it was mineee. If you want to see what it looks like on, you can see a photo on my instagram, here. I also picked up the Clear Improvement Mask from Origins as I have really been trying to take better care of my skin as it's been so terrible lately, it's frustrating that it's worse now, as an adult than it was when I was younger, so if anyone has any skin advice, I am all ears! Finally I picked up the Essie Nail Polish in A Splash of Grenadine which is by far the most beautiful colour and is now my favourite colour! 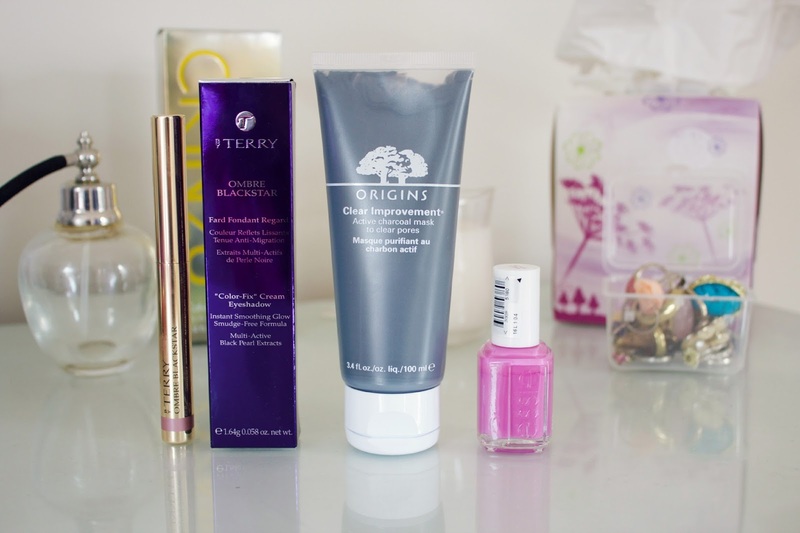 So there's a few things I've bought recently, if you have any requests for blog posts please leave them in the comments as I've lost all my blogging inspiration lately! Cute dress! Let us know how the origins mask goes! 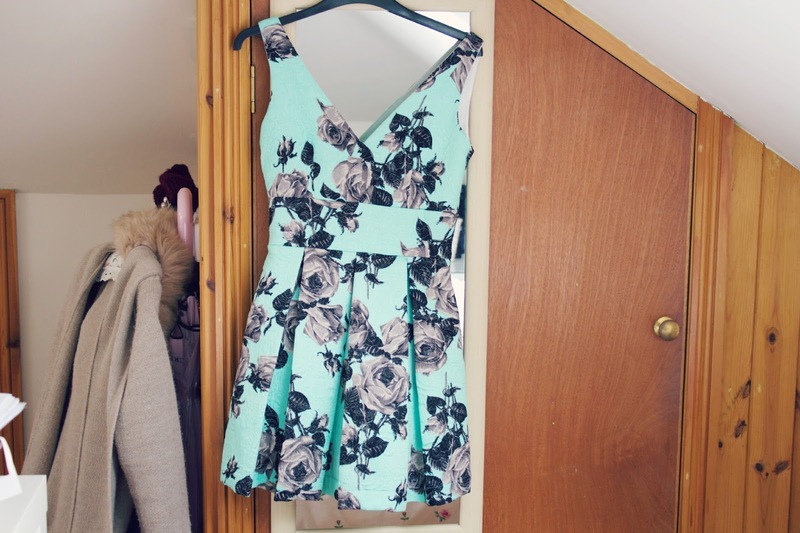 I adore the dress, anything mint green is my favourite at the moment. Hope you get your blogging mojo back asap!